If you’ve never been to Tanzania, you’re hardly alone. So many people have yet to discover one of the great hidden gems of the African continent. The Eastern African country is renowned for its exquisite natural beauty, and areas of vast, stretching wilderness. As you might imagine, this makes it the perfect destination for an unforgettable safari venture. Having taken a nine-day safari tour through Tanzania, I am well-equipped to talk you through some of the best areas in the country. Safaris these days are all about seeing the world from a different point of view. So much of what you experience on an African safari cannot be experienced anywhere else in the world, and that’s the great appeal. These are some of the best places I would recommend for the best safari in Tanzania. This UNESCO World Heritage Site is home to around 27,000 animals — ideal for those on a first-time safari. Sitting 1,800 feet above the Ngorongoro Crater, the sheer volume of animals here is staggering. This is also the best place in the country to catch a glimpse of the majestic black rhino; of the 120 left in the country, 40 of them live here. The Ngorongoro Conservation Area also hosts the Great Migration each year, which is an incredible sight to behold. Stunning places like this are one of the reasons that make Tanzania the 7th most visited country in Sub-Saharan Africa. The lush rainforest and grasslands of the Crater Rim make it the perfect place for some stunning accommodation choices. Tip: To get the best experience make sure you visit June–September. I visited Tarangire in 2016 and fell in love with how remote and rustic she was. I dug the fact that this was the closest safari option to the airport, as it meant I could get down to it immediately following my arrival. Preservation of natural habitats is a big focus here, and that allowed me to enjoy viewing several small Maasai villages on the way to the park. During the Dry season, the park can be teeming with wildlife as it is one of the only places with water. Filled with baobab and acacia trees, more than 500 species of bird, and stunning creatures including elephants, leopards, impala, and cheetah, it’s no wonder Tarangire is voted as one of the best national parks in Tanzania. Tip: Check out Maramboi Tented Camp for some excellent safari digs. One of the most well-known national parks in the world, Serengeti National Park is one of the largest and most scientifically important ecosystems on the planet. This, along with the Ngorongoro Crater, is the home of the Great Migration, one of nature’s most breathtaking spectacles. This is one of the best destinations to spot big game, as well as enjoy hot air balloon safaris. They also offer some wonderful accommodation, including tented camps, and lodges. Melia Serengeti Lodge is a particularly excellent choice, but being that the national park has a size of 13,250 sq. km, you’re hardly likely to be pressed for options! Tip: Best times to visit are January–February or June–July. If you want to go off the beaten track, and indulge in a more intimate safari experience, I suggest you check out Lake Manyara. With a size of no more than 330 square meters, this is a much more accessible choice for those who want a break from the vastness of the savannahs. There are around 11 ecosystems to enjoy here, and the tree-climbing lions are quite a sight to behold! With an abundance of bird-watching opportunities, elephants, and night safari treks, this is one of the best safari opportunities in the country. Tip: Very crowded during peak season so try to visit off-peak. Kilimanjaro (sometimes called “Kili” by Tanzanians) is approximately 2 hours northeast of Tanzania’s capital of Arusha. It sits in the extreme northeast corner of the country near the southern border of Kenya. It’s a prime spot for sightseeing and hiking. Only the heartiest travelers should consider climbing Mt Kilimanjaro…but doing so can be a life-changing experience. Tanzania is one of the leading African countries for taking a safari trip, and, in fact, has been rated as the leading destination for safaris on the continent. There are some excellent places you can check out, and I loved the opportunity and excitement that Tanzania presented. This is a country that needs to be discovered, so I thoroughly recommend you go and discover it! Which place would you like to go? Let me know in the comments! I just got back from climbing Kilimanjaro, followed by a safari in the Ngorongoro Crater. Yes, it was incredible. Absolutely surreal, and blew all expectations out of the water!! We were lucky to see a black rhino (albeit from afar), and also witnessed a pride of lions preparing for a hunt!! I’ve fallen for Tanzania and all it has to offer. Wow, a safari in Tanzania sounds absolutely stunning! I’d especially love to visit the Serengeti; being South African I grew up going to the bush and Kruger at least once a month. 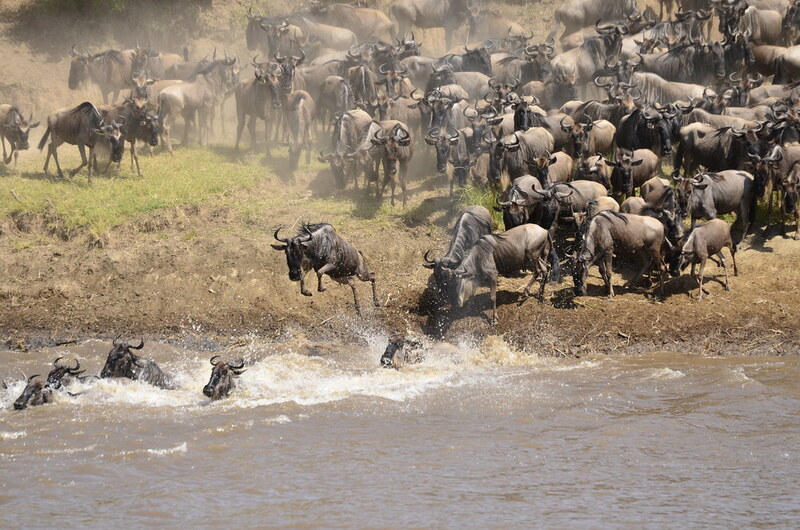 But I’d love to watch the Great Migration – what an experience that must be. I’m definitely checking out the Amelia Serengeti Lodge! Thanks for the tips! I’m not sure whether the Great Migration runs in January or not…October was a great time to see it, but I know there’s at least one other time of year. Hope you get to experience another safari in Africa! I am so excited we are going in one week and going to all these places!!! It will be the great migration so hopefully neat! I am so glad you liked it!! Oh wow, cool! You will super-enjoy your trip – it was the best vacation we’ve ever taken. I’m going to follow your blog because I’m really interested in your posts on Africa once you get back from your trip. Bon voyage! Wow! I have been lucky enough to do a few safaris in South Africa, but still haven’t made it to Tanzania! All these parks look amazing! Doing the Serengeti one day is my dream! This looks great. We have been planning a trip to Tanzania for ages. Want to do a safari and climb Mount Kili. After going to South Africa we are obsessed with safaris. We’ve been to Kenya which was also amazing but Tanzania and Botswana are hopefully next on the list. 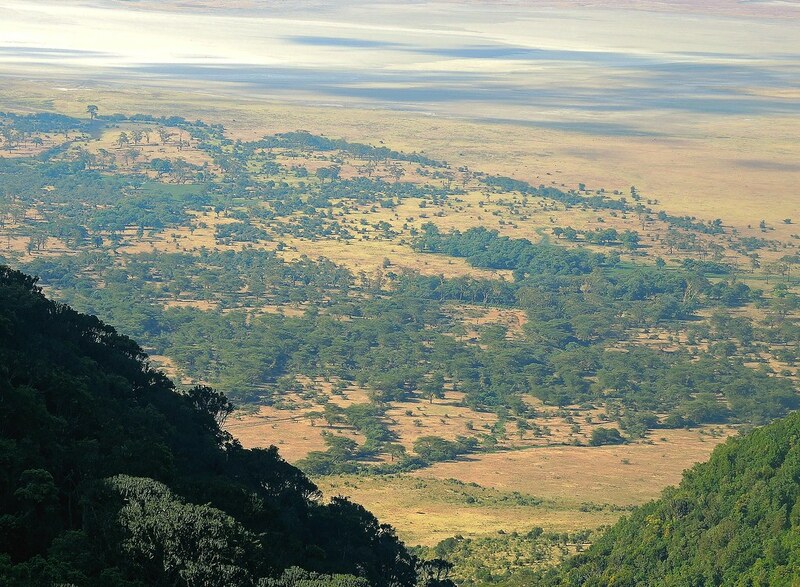 Ngorogoro Crater looks incredible. I’ve always wondered where the best place to do a safari would be. Thank you for being so detailed in your post, sound s so amazing and full of wildlife. a safari is on our bucketlist and Tanzania certainly is on it now that we know more about how lovely your experience has been! I’ve never been in a safari but I’d like it so much. Thanks for all the informations. It should be incredible the opportunity to do it.